Avenue 台北是信義安和站美食之一, 台北 Avenue 餐廳也是受歡迎的拍照地點, 也是少數台北大安區同時享受美式輕食, 酒和R&B 音樂的餐廳! 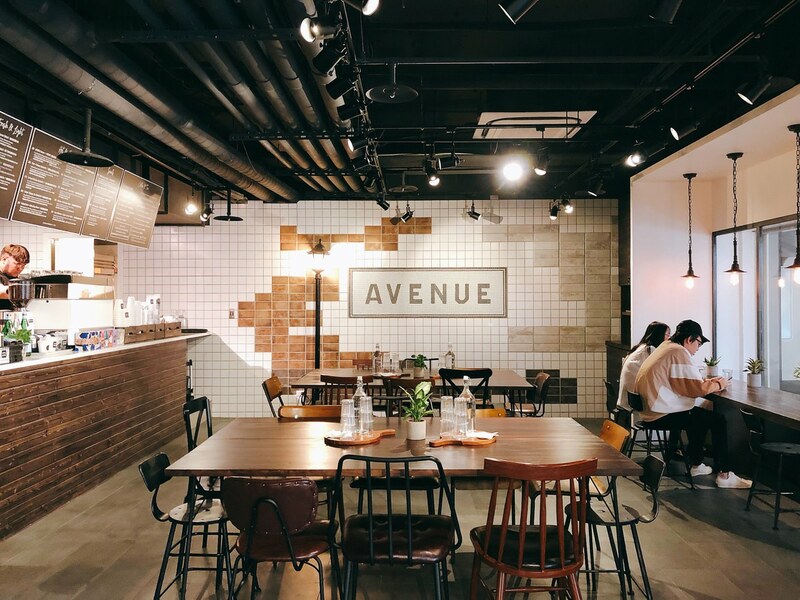 Avenue Taipei is one of the restaurants near Xinyi Anhe MRT station. 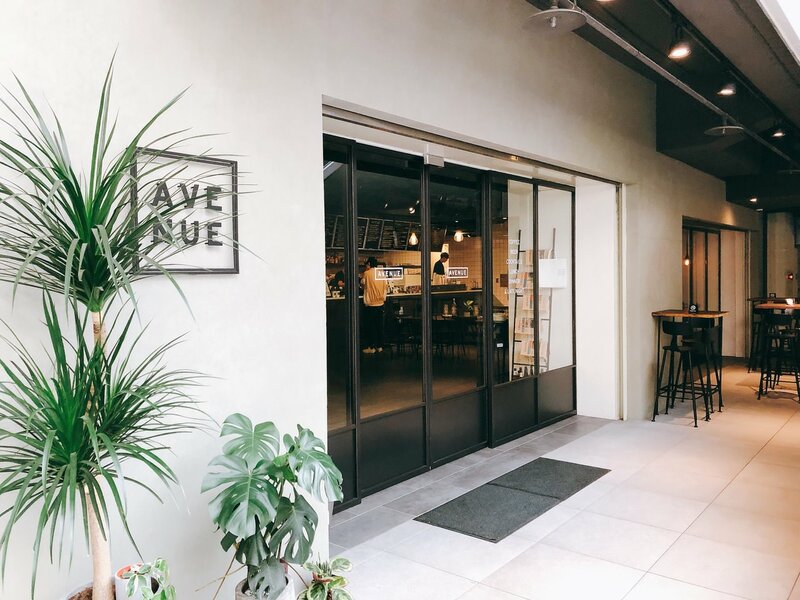 Avenue Restaurant is one of the popular IG spots. You can also enjoy food, beer and R&B Music at the same time. 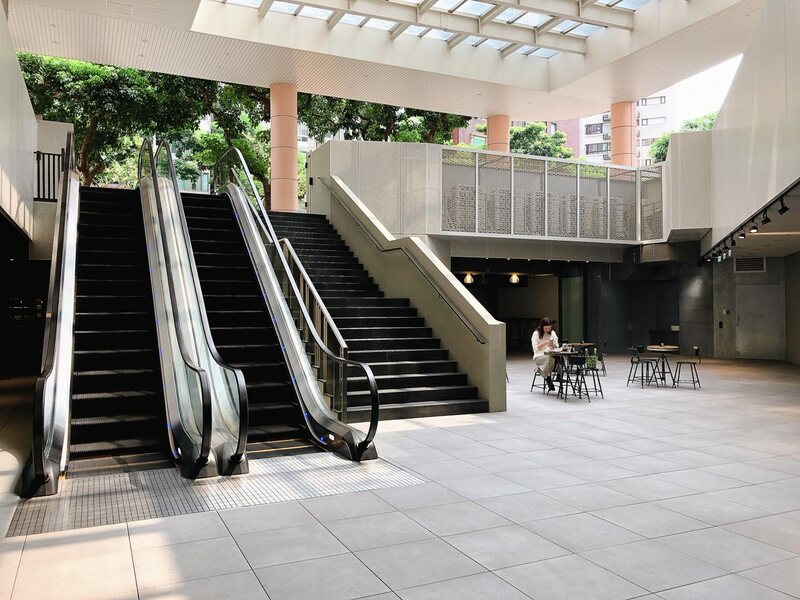 最靠近 Avenue 餐廳是信義安和捷運站 2號出口, 比 “雞窩餐廳” 更靠近遠企飯店, 沿著手扶梯抵達位於地下一樓的Avenue 餐廳, 映入眼簾的是有著挑高空間且採光良好廣場, 每個想照相的人都想坐在圖二廣場座位, 可惜那天用餐戶外座位已滿, Avenue 餐廳位於手扶梯右邊, 落地窗與純白裝潢不難被發現, 跟 ”BRUN 不然餐廳“有著亮眼裝潢, 一踏進餐廳內聽到 “Killing me Softly with His Song” R & B 音樂 , 完全一秒到美國Cafe的感覺, 並沒有台灣咖啡店的吵雜聊天氛圍, 我個人是蠻喜歡這樣的環境. The closest MRT station is Xinyi Anhe Number 2 Exit. The location is closer to Far Eastern Hotel than “G Woo Restaurant” . 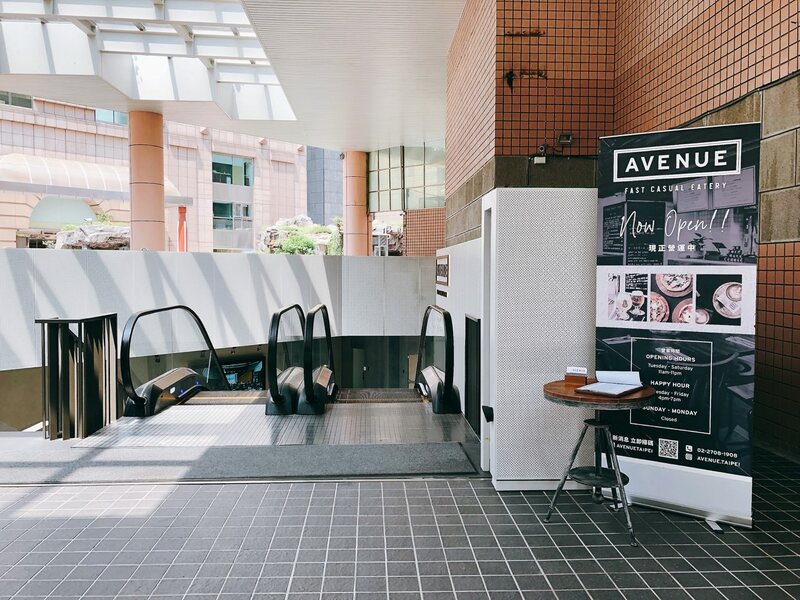 Avenue restaurant is located at the B1 but with a bright and comfortable area (Picture 2). The design is a bit similar with “BRUN Brunch Restaurant”. 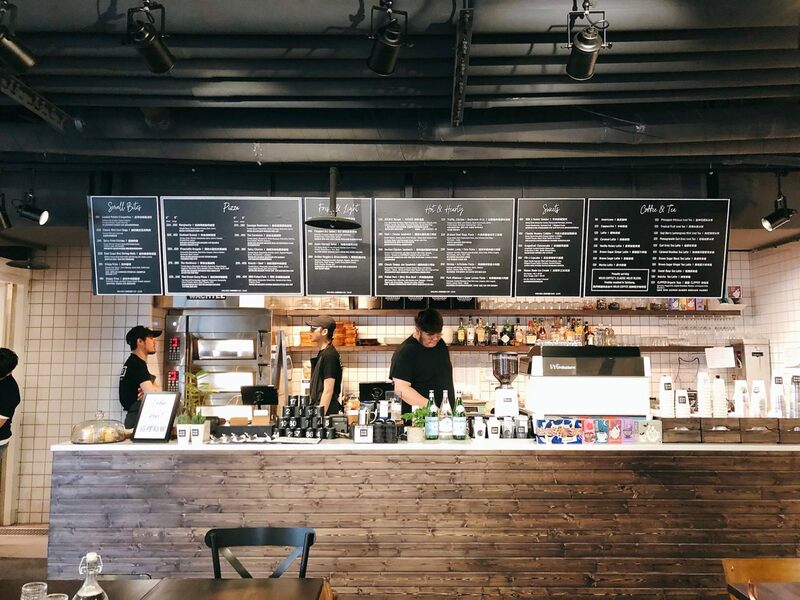 The dining environment is like America Cafe, which doesn’t have the noisy coffee shop chatting sound. 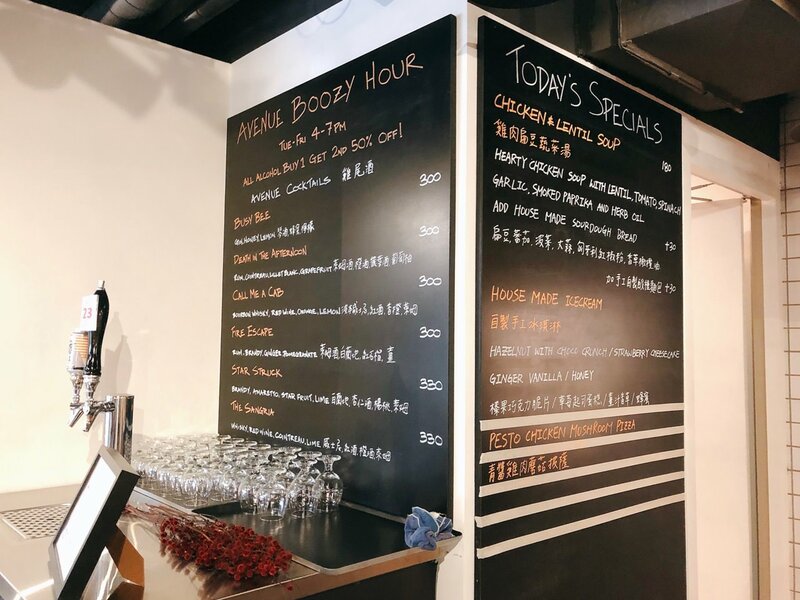 Avenue 餐廳全名是 AVENUE Fast Casual Eatery, 最易懂的中文翻譯是“輕食”, 這家餐廳有像“佐藤咖哩”一樣的窗邊座位, 餐廳中央也有與”慢慢弄乳酪坊“的長桌, 適合多人聚餐. 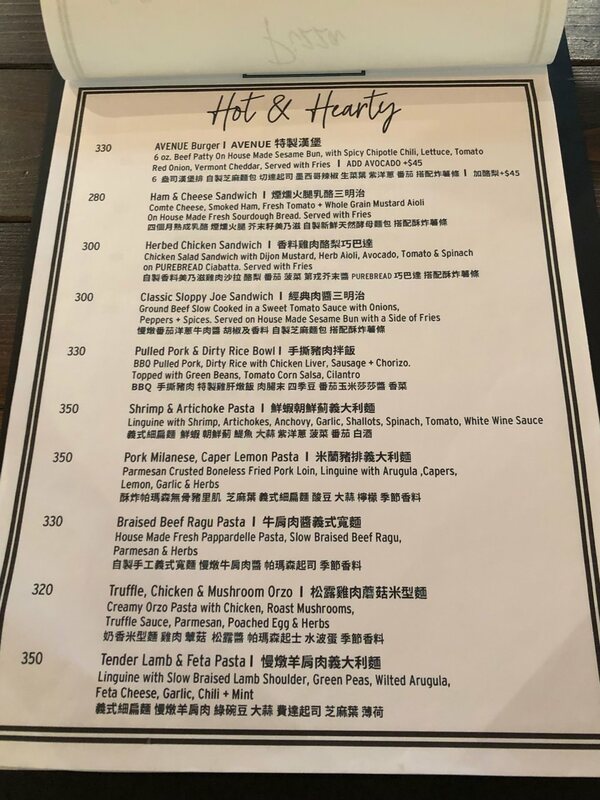 首先是自己找位置坐, 餐具和配料都是自己拿, 到櫃檯點餐付錢, Avenue 餐廳店員協助端菜餚到餐桌, 並沒有收取服務費, 並沒有限制用餐時間, 吃完後自行端去回收台. 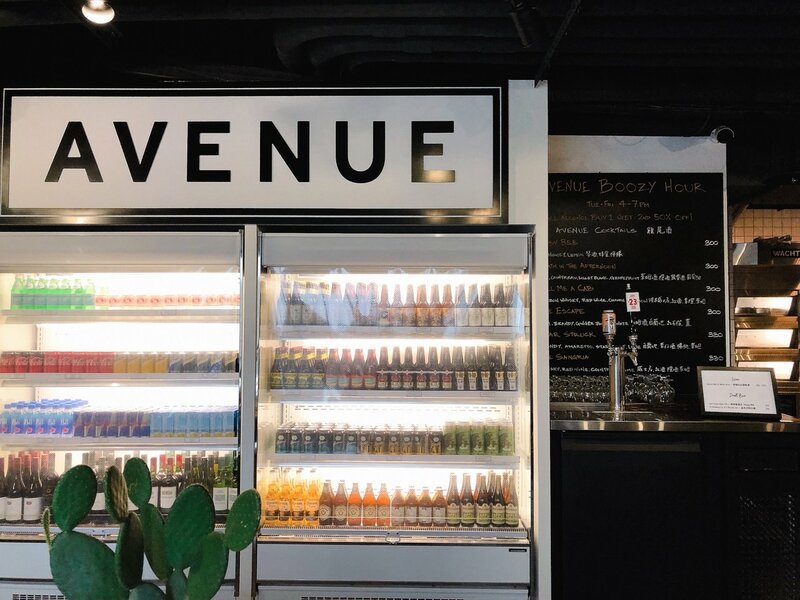 The whole name of Avenue Restaurant is “AVENUE Fast Casual Eatery”, which basically means easy-to-prepare light food. The restaurant has the window seating area just like “Sato Curry restaurant”. 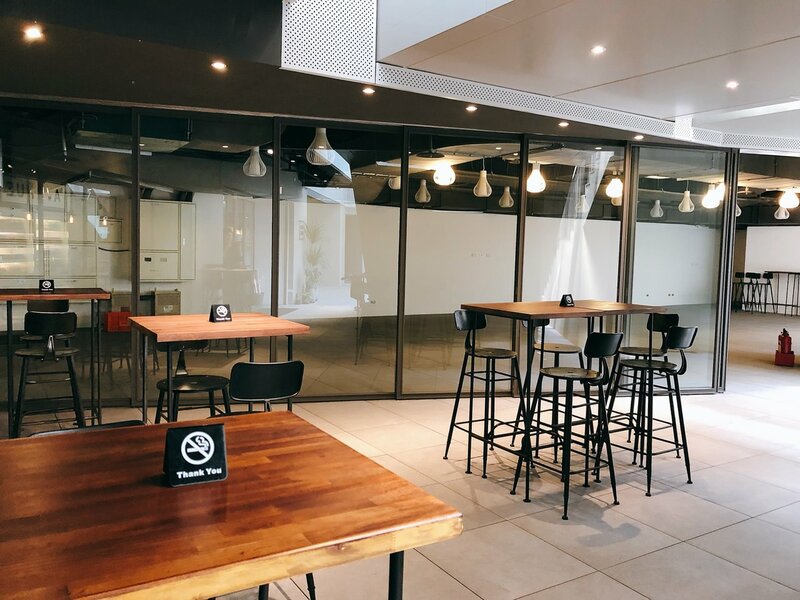 There are long tables, just like “Man Mano Cheese Lab”. After seating, you would need to walk to cashier to order and pay first. 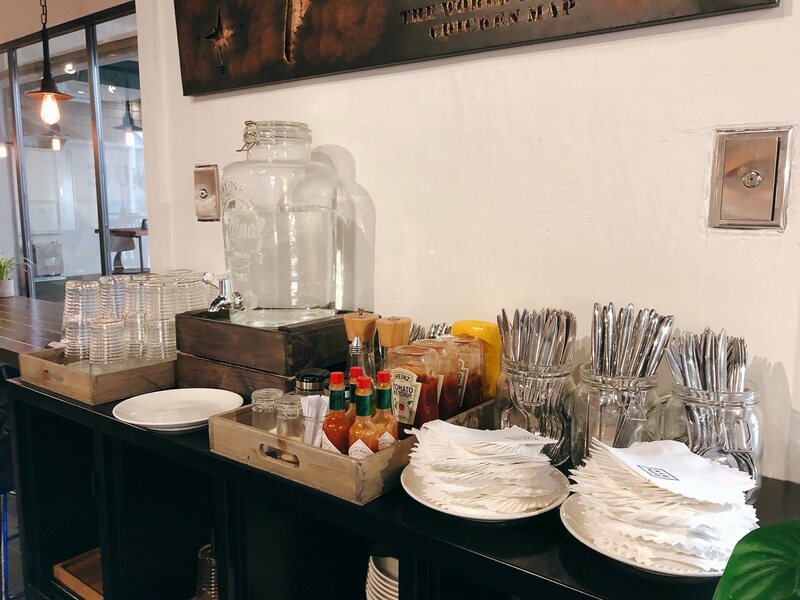 Since they didn’t charge service fee, you would need to get the utensils and water by yourself. Avenue 餐廳菜單上有像常見的義大利比薩和義大利麵, 品項比 “Salt & Stone” 多, 也有 “LIQUID BREAD COMPANY” 的三明治. 我點了餐廳新菜餚 – 慢燉羊肩肉義大利麵. 份量比想像中地多, 男生應該可以8分飽.我看到適量青豆, 我想到在美國時, 青豆時不時會出現在輕鬆準備的菜餚裡, 在台灣餐廳裡, Avenue 餐廳大概是唯一一家敢將青豆當作義大利麵的食材. 羊肩肉有如手撕雞放置在微細扁麵上, 麵口感是我喜歡的適量硬度, 大蒜與其他香料除了將經典羊肉味覆蓋住外, 也間接刺激著舌尖, 在品嚐嫩潤羊肉時, 辛香與鹹香味更是讓食慾增加. 若是你可以接受羊肉與青豆, 我個人推薦這一道料理. 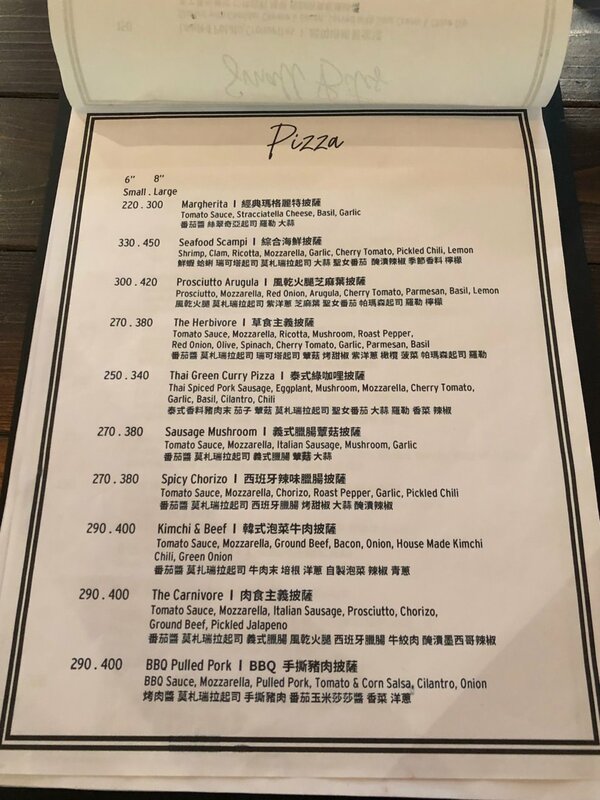 Avenue Taipei Restaurant’s menu have pizzas and pasts, but surprisingly more items than “Salt & Stone”. There are also sandwiches, just like at “Liquid Bread Company”. The quantity of this Tender Lamb & Feta Pasta is much more than I expected. There are fair amount of green peas at the bowl, which reminds my college time back at USA. 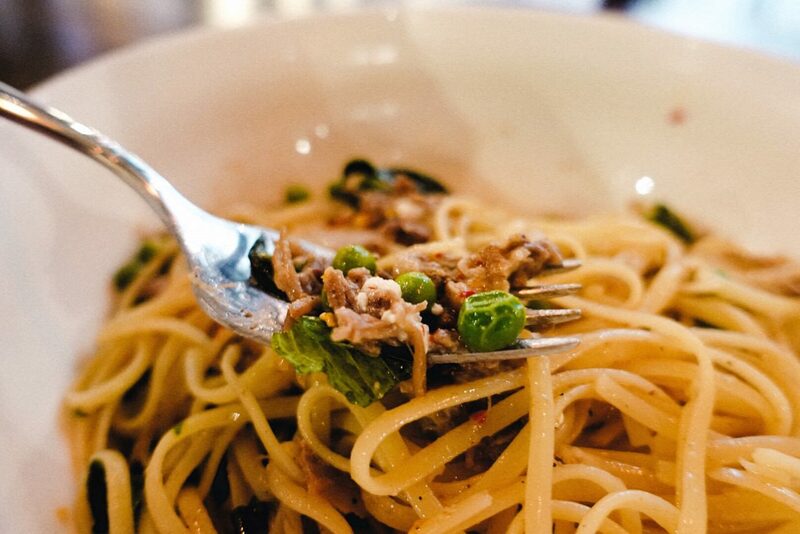 Avenue Taipei is probably the first restaurant that is dare to put green peas into a dish. 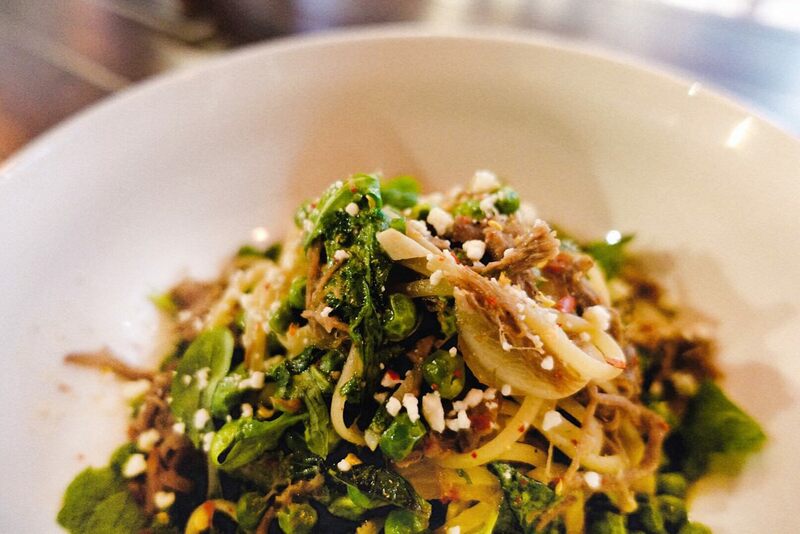 The slow-cooked lamb shoulder meat is tender and shredded into pieces. 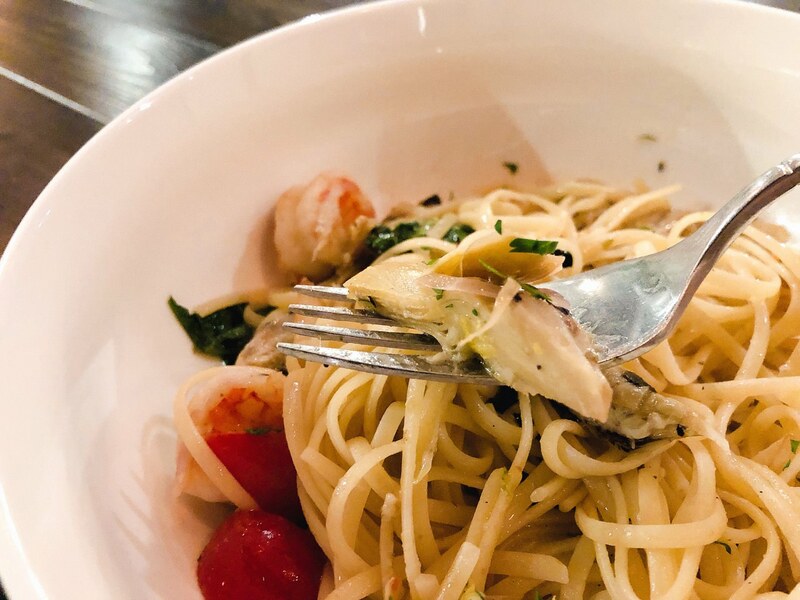 The pasta is al dente with no doubt. The garlic and other flavorings stimulate the tastebuds and also cover the so-called classic lamb flavors. The salty and spicy flavor would definitely increase your appetite. 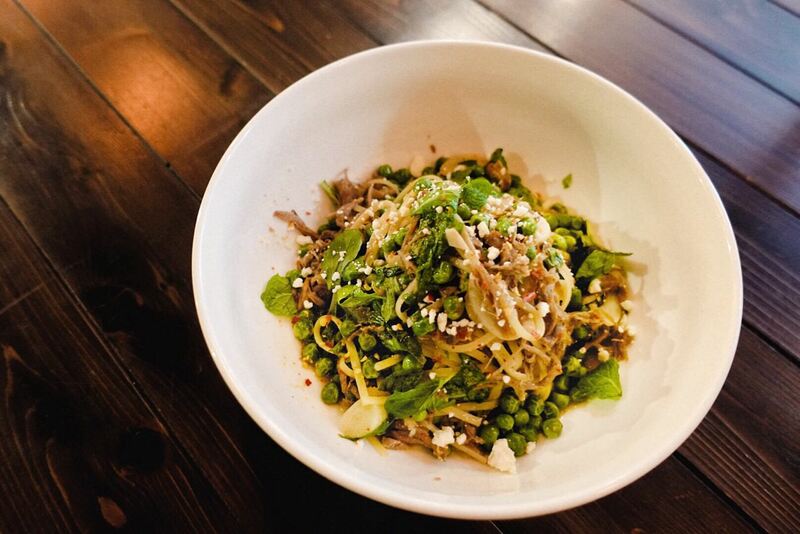 If you can accept lamb meat and green peas, I would definitely recommend this dish. 台北市餐廳一到下午兩點幾乎都關起來, 當天我不是很想到一樣下午有開的 “舒服生活 Truffles Living” 或是 “2730 Cafe”, 我決定二訪 Avenue 餐廳. 我在台灣很少吃到朝鮮薊,嘴饞點了鮮蝦朝鮮薊義大利麵, 端上桌時, 我原本以為會像 “A.B House 義式私房料理”的擺盤與大Size的蝦. 我先品嚐了蝦與麵, 都如預期地不錯, 可是唯獨朝鮮薊的調味偏酸, 並不是一般人可接受在菜餚裡的酸度, 只要吃一口朝鮮薊, 我就得要喝一口水來清味蕾, 我個人不是很喜歡這樣的調味組合. It is quite difficult to find a restaurant that opens after 2 pm. 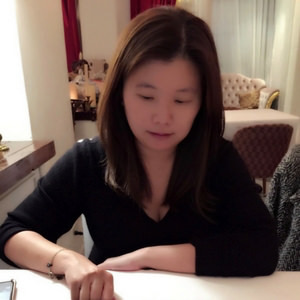 I decide to visit Avenue Taipei again instead of “Truffles Living” and “2730 Cafe”. 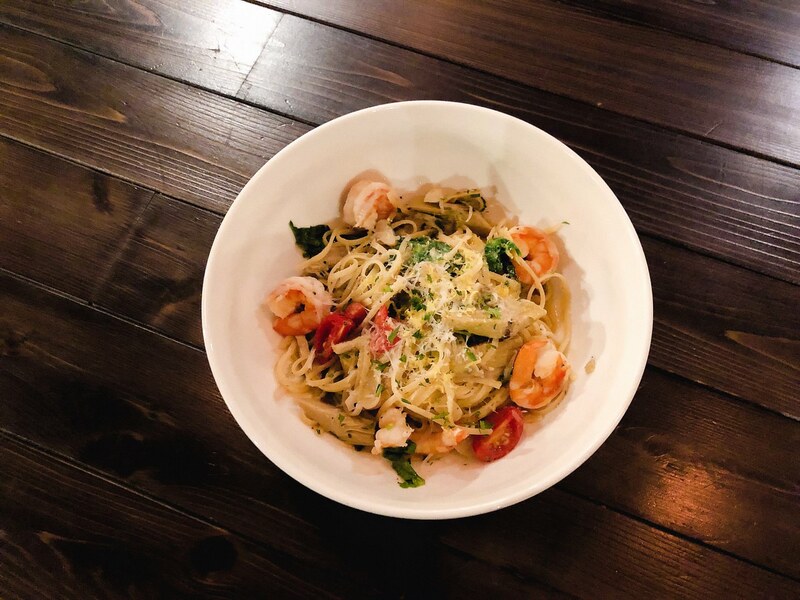 Since I rarely see artichoke at Taiwan, I decide to order this shrimp & artichoke pasta. I was expecting the display like “A.B. House”’s large shrimps. 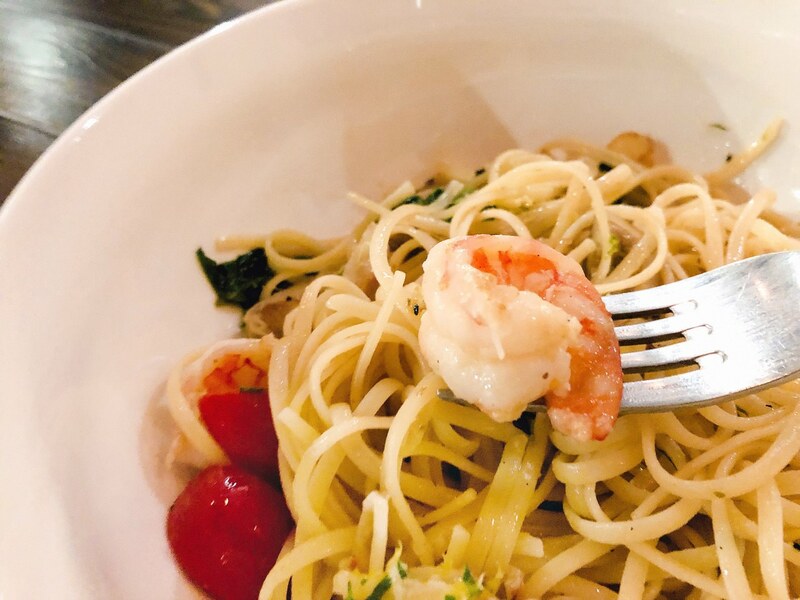 The shrimp and pasta are average as expected. However, the artichoke carries too much acidity. Not everyone could accept this high level acidity. 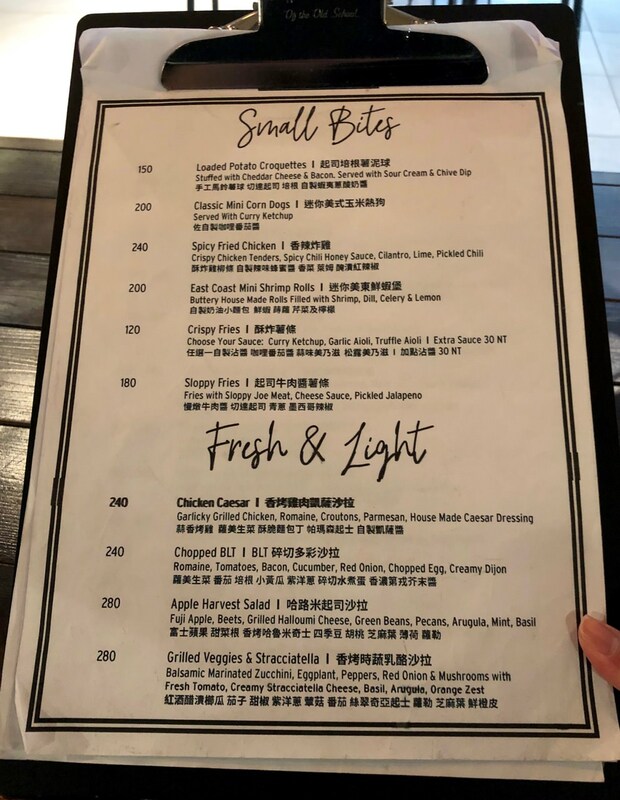 I would need to eat one bite of artichoke and drink water. I wasn’t found of this type of flavors. 菜單有啤酒, 咖啡,茶與甜點, 我點了較少見的香草蜂蜜拿鐵, Avenue 餐廳並沒有提供像”休習日” 環保吸管或是塑膠吸管, 整體不會太甜, 蜂蜜迷人風味明顯, 因為這裡不限時, 咖啡價格也算合理. 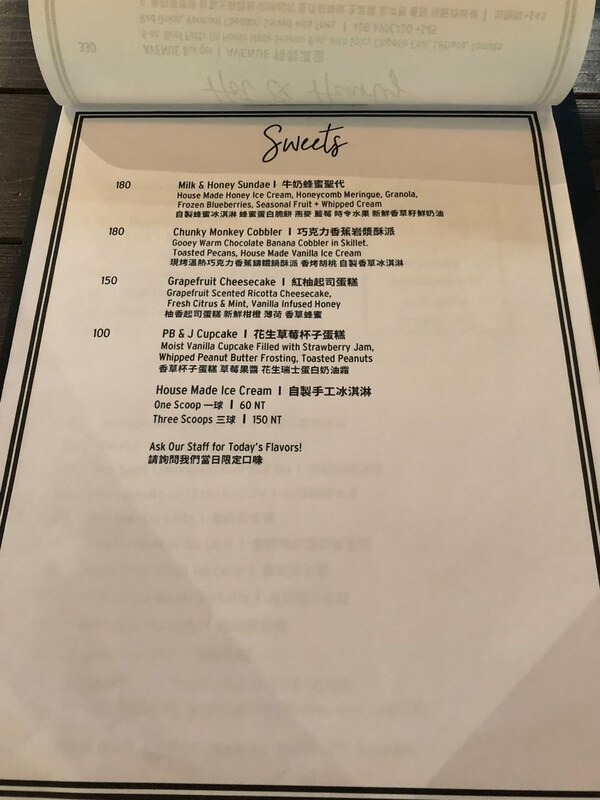 The menu has coffee, tea and dessert. 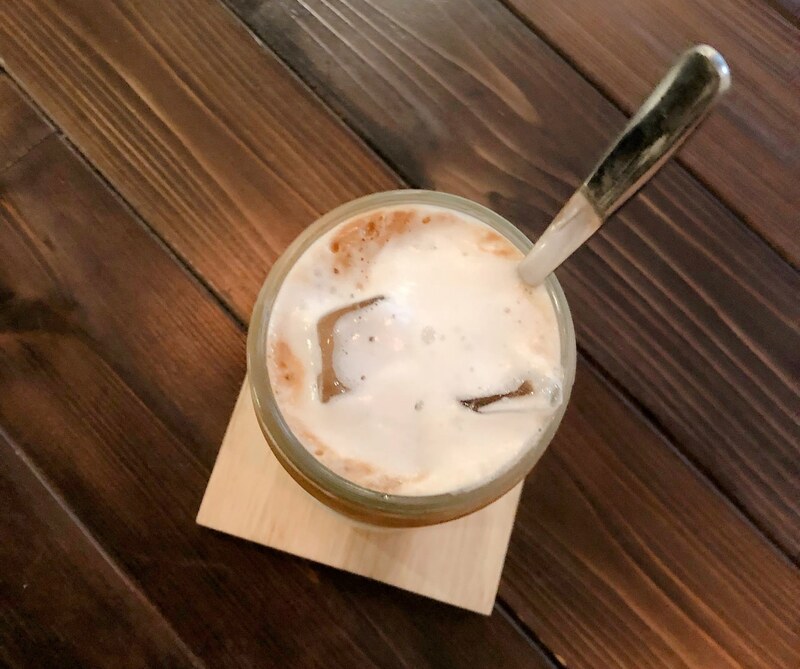 I ordered the Vanilla Honey Latte (Ice), which it has obvious honey flavor. 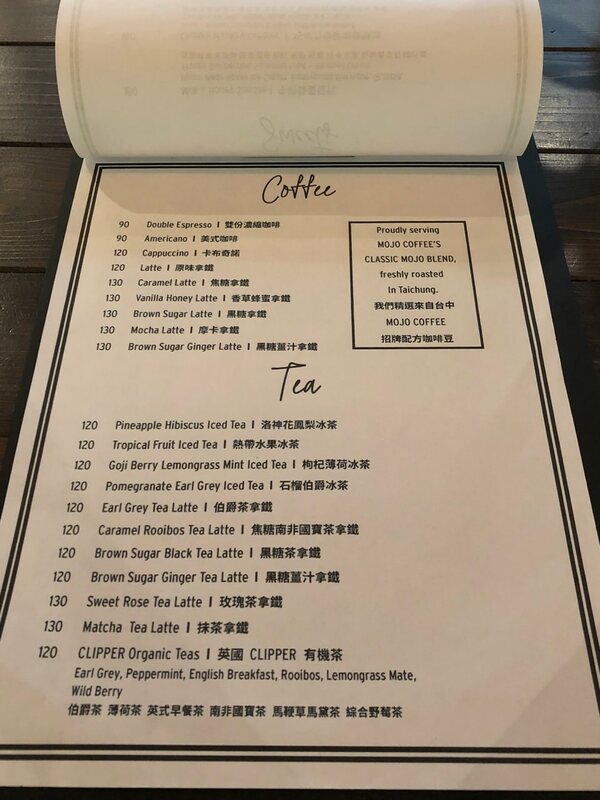 It doesn’t offer the environment-friendly straw (as I saw at “Z Day Cafe”). 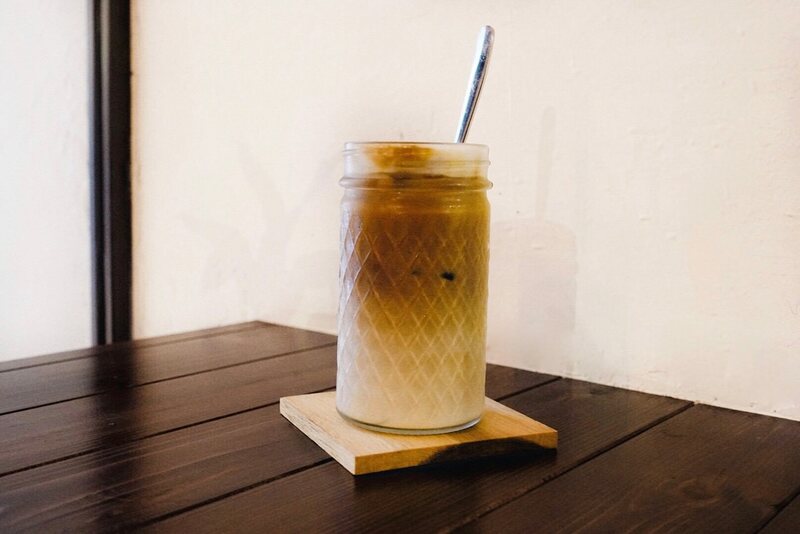 Since Avenue Taipei doesn’t have the so-called dining time limit, the coffee price is quite reasonable.